Bernard was Lyn’s maternal grandfather. 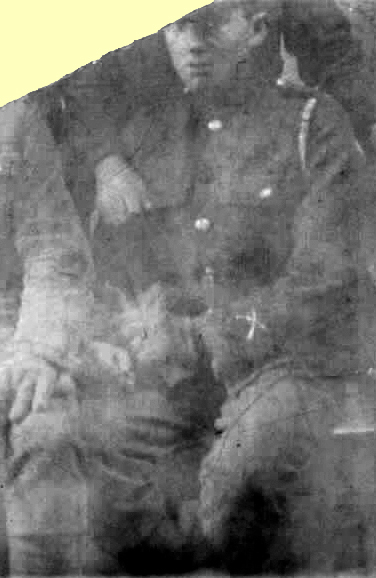 I have very little information about my grandfather as his WW1 service records cannot be found. I was told by my mother that he was in the trenches. He had worked as a blacksmith in the steel works in Sheffield prior to the war (and after) and research leads me to believe he enlisted after Sept 1916 when his eldest daughter was born. Born 3rd of June 1889 at Barnsley, he died at Sheffield on 24th December 1958. The image is believed to be Bernard in uniform.